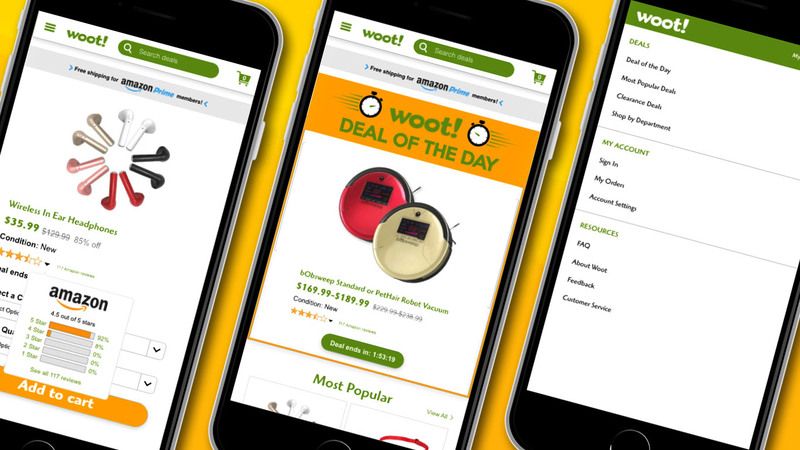 Woot is an internet reseller for deals under Amazon. Woot main sales model is one discounted product per day. Woot’s height of user numbers peaked around 2010. Numbers in direct traffic has rapidly declined since 2013. 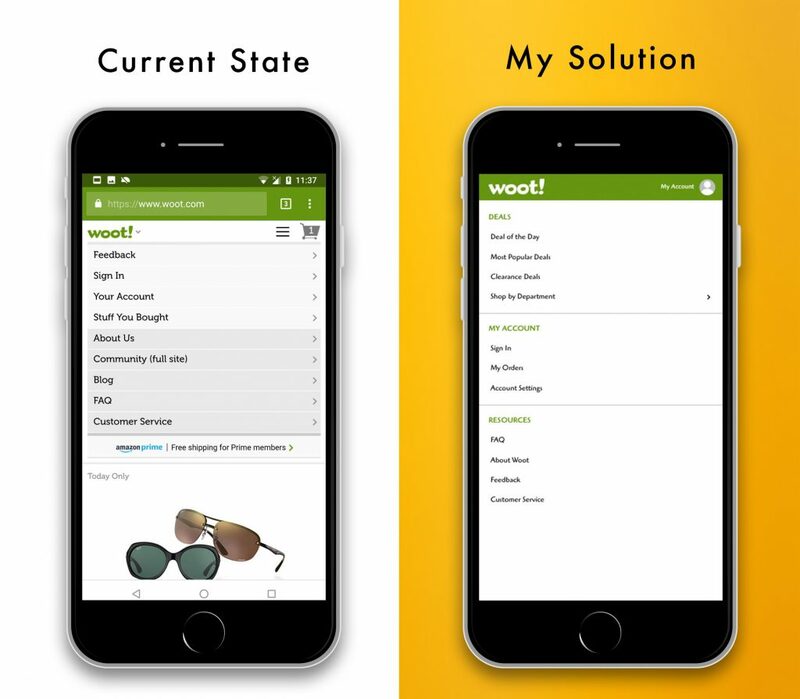 My proposal to update Woot!’s are minimal but effective alterations to the existing mobile browser. 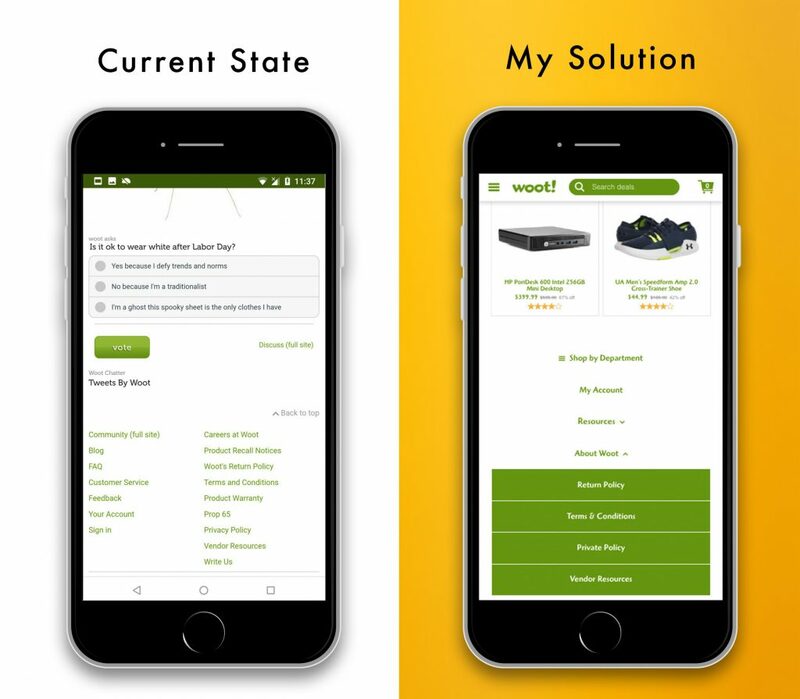 I kept the visual design similar to the current platform but concentrated on changing several key user experience flows and solutions to reduce confusion and friction. There are several key issues that make users frustrated, making them less likely to continue to use the platform and return in the future. There are two menus on the header which forces the user to spend additional time looking for their specified task. The menu headers are too close in distance to the Amazon Prime promotional link. The user often will select the Amazon Prime link rather than the intended menu. Products names are not shown without specifically selecting the product. Users do not know what product is being offered by the thumbnails. 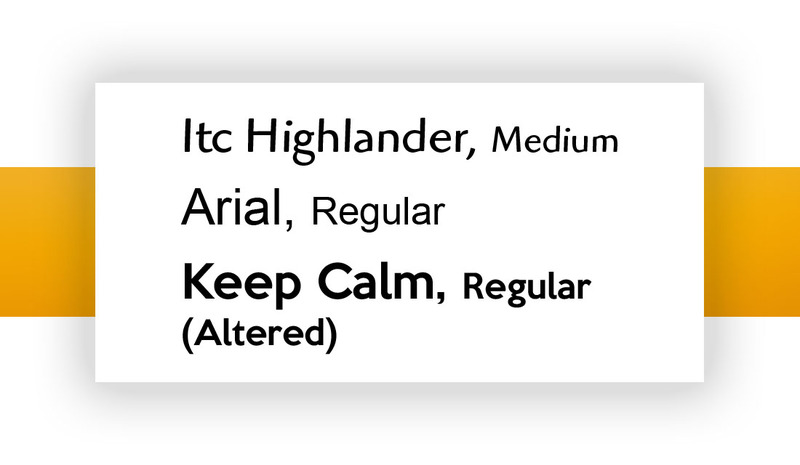 Product categories and products are too condensed causing visual strain. 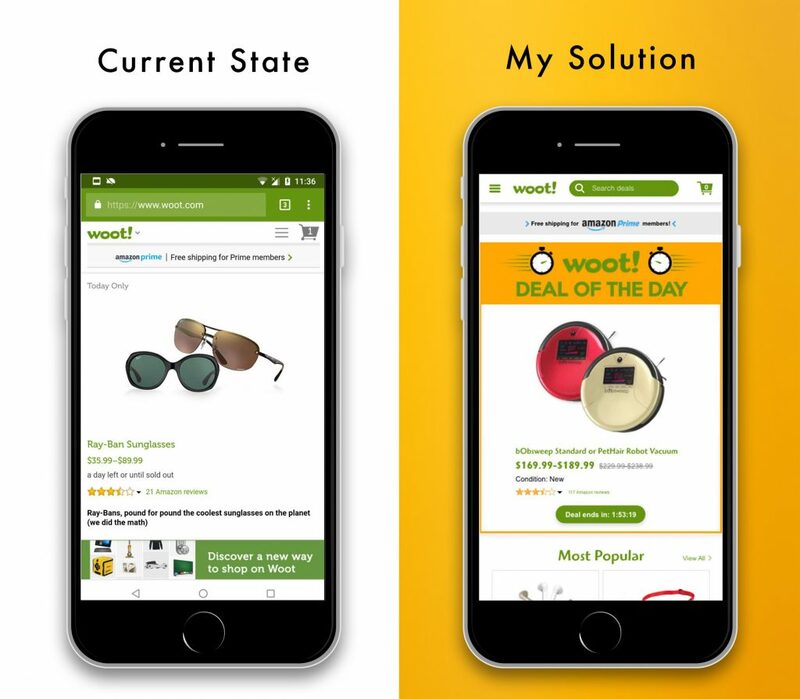 Woot!’s social media ads are overwhelming the home page with superfluous clutter. Consolidate the two menus into one menu that is easy to navigate. Also add enough space between the menu and Amazon Prime promotional link to allow users to easily select the correct option. 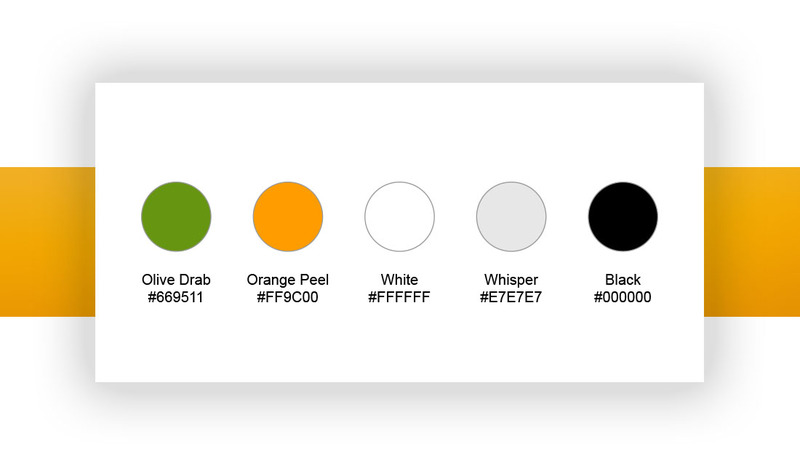 Add product names to let users what the product specifically is. Users will spend more time interacting with potential purchases rather than investigating what various products are. Redesign product grouping space to have clear separation between products and product categories. Remove the social media from the home page and into its own section. 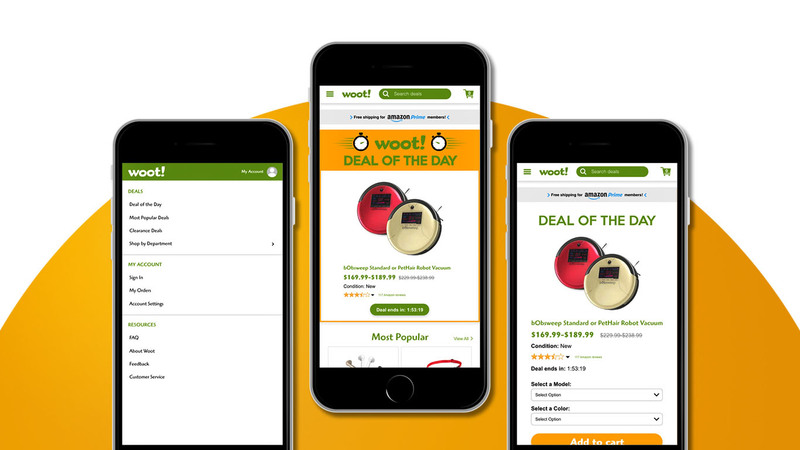 Keep the home page just for product deals that most interest the users. 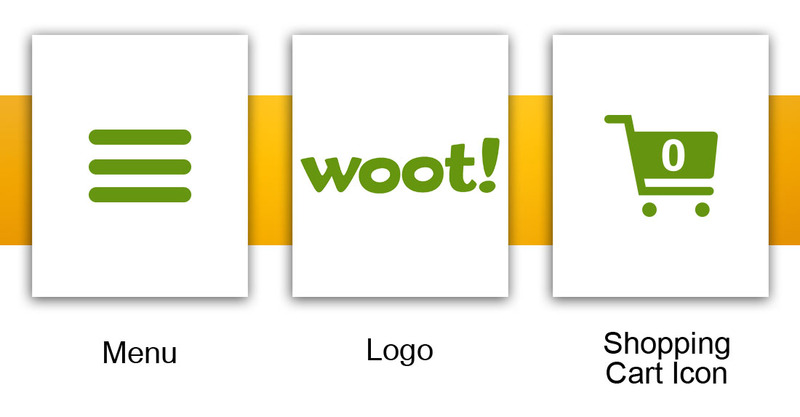 Woot!’s business model is based off offering one day each day or until the product is sold out. I wanted to emphasize and highlight the “One Day, One Deal” tagline. I created a unique banner to allow the deal of the day to stand out from the other products. To keep links in the header consistent, I changed all icons to the same olive drab color. 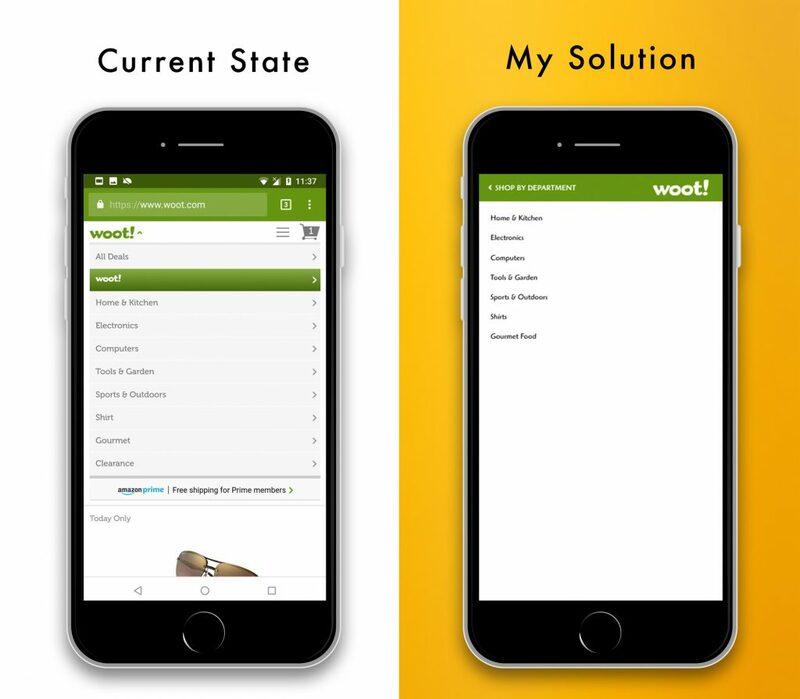 In the current state, the Woot! 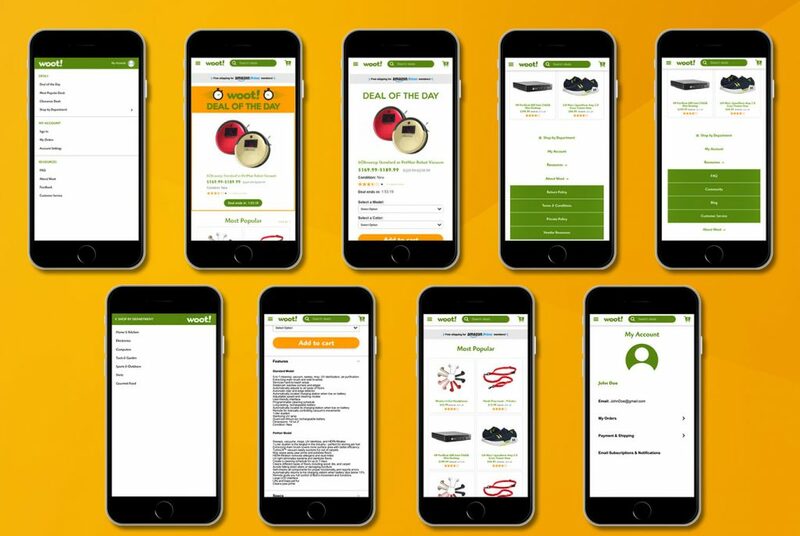 logo opens a drop down menu to the home page and shopping categories. My update allows users to click the logo to go to the home page. Two separate menu icon options. No one click option to go to home page. Notice for free shipping to Amazon Prime members is located too close to menu icons. It is too difficult selecting the menu without accidentally clicking the notice for Amazon Prime. “Today only” deal is bland. Advertisement under “today only deal” seems as if there is no more content. Users are unlikely to continue scrolling down. Change logo to home icon. Add search feature to allow users to search for a specific product. 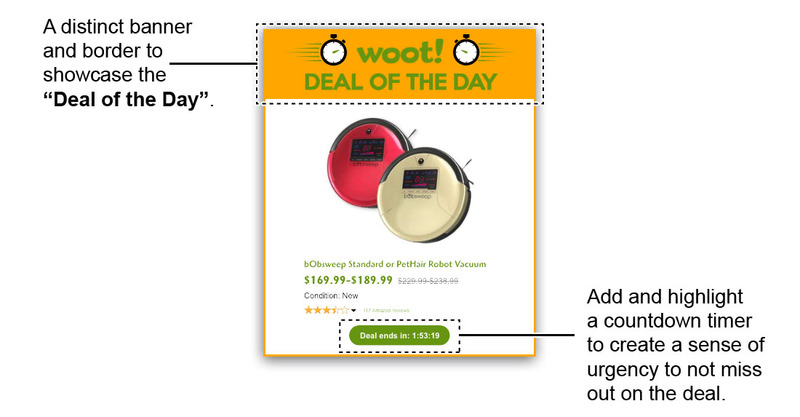 Rebrand “today only” deal to “deal of the day” for user clarity. Design the deal of the day to be more prominent. Move “most popular” category before solid ads to signal to users to continue scrolling down on page. Amazon Prime advertisement banner has been moved to insure no accidental misclicks. This project was completed due to my frustration browsing the website on my cell phone. I spent a majority of my time to figure out the products offered and how to navigate the website efficiently. Visually, the mobile browser needs a serious revamp to feel modern and solve the spacing between distinct groups. My proposal was a fantastic practice to empathize with other users. If the platform does not make sense to me, there are other users that feel the exasperation same as me. I imagined myself as the average user and compiled a list of the main issues that occurred during normal usage. 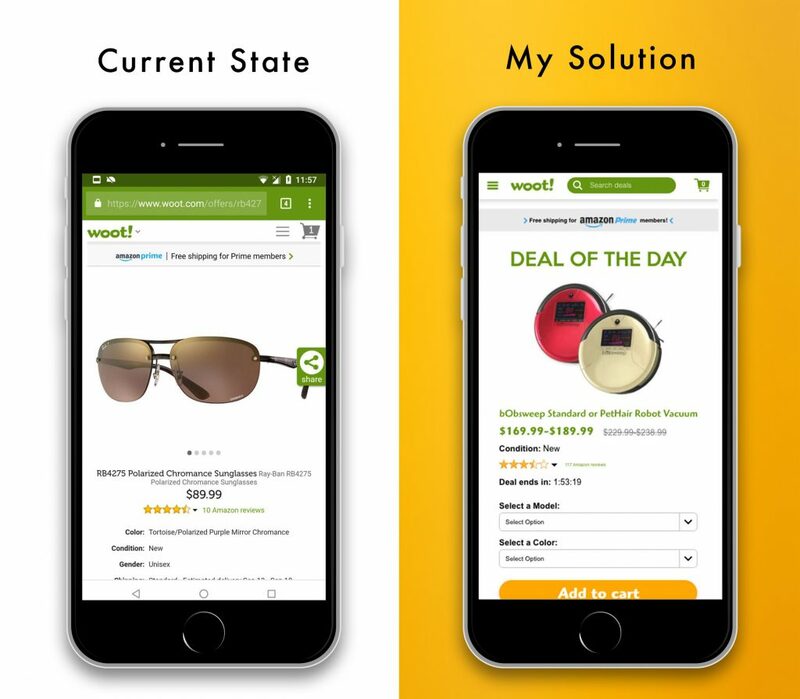 I then solved these issues with simple solutions that would reduce potential user friction.